I had a PB this afternoon with 4v's 6a's with the 6.5x47.no rear bag.it was a recently tested 139gr scenar RS60 load that shot just under 0.5 moa at 100yds.i seated them back 5 thousandths for today and gave them a whirl.they were pretty good at 1000yds too. How much did the wind whirl them at 1000y,compared to say,the WSM guy with the scope you liked? Try hitting a Fig.14 at 600 yards in the wind and rain, saying that quite s few did on Saturday. I am starting to think that the 600 yard McQueen is now the gold standard! That will be both fun and challenging!! It was just a Fig 14 in the past but the 5 & 4 scoring areas are still the same so the good shots will still prevail but the target is not so brutal for those that may be a little off. I heard the weather was horrible at bisley for the RBL match John.not sure what time it started at bisley but at Bath and surrounding areas it started at around 11am and the heavens opened up.i was talking to achim this morning and he said he had a job to see the targets at 600yds with the rain on the lenses.i went shopping for a prezzy for my wife's 50th birthday and got drenched myself.came home and took the dog out in it as I was so wet it didn't matter.i'd love to have a crack at a 600yds mcqueens .it use to be my best distance for snap shooting.i was pleased with my PB. 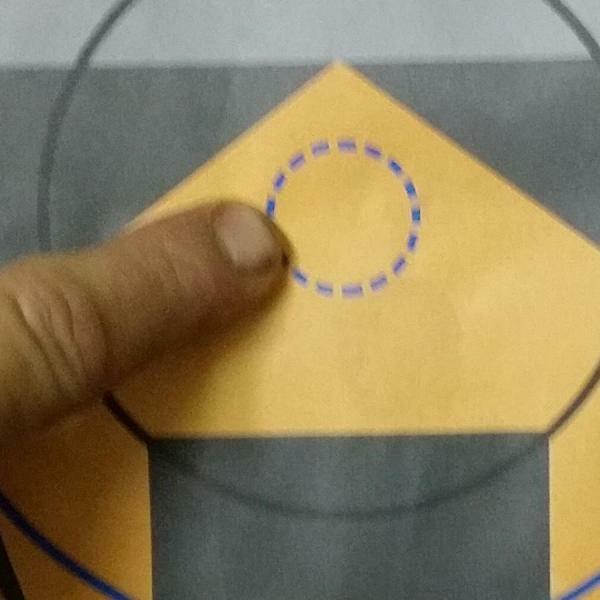 Thanks,Neil-what sort of shot dispersion (group) did you see at 1000,given .5 moa at 100? For those who have not used a coaxial (joystick) front rest,with a 'proper' rear bag,and a 40x+ scope, and a fine crosshair/dot, it will all seem a revelation in precision and ease-and it is.Downside is weight - there is always a trade off between weight and stability-the seb joypod is ok,but not as steady -esp.for heavy rigs/recoilers-as the big Seb,Farley etc nearing 20 lb. Sequence was shots at 1639,1710,1850 m 4/10 hits; then 2165m 2/10 hits......ding dong . ...and this is with the good guys shooting. I've got a 338 lap mag on my fac but I can't see myself bothering to get one now.i think I will get a 6mm br instead.i don't seem to be able to fit all the available range days in being a member of 2 clubs.i just realised my fcsa membership has expired.ive had no emails to remind me.i only managed 3 days in fcsa shoot since i joinedp.sailsbury plain shoot is more a 50 cal shoot.they are great to watch but that blast is real bad.definately not a calibre I would go for. Possibly last 300yds mcqueens of the year.a PB would be nice 4v's 6a's will take some beating. Yes get in there.using my 6.5x47 with 139gr scenar load I got a awesome pb of 6v's 4 a's. You beauty.no rear bag either ? ? ? ? ? ? ? ? ? ? ? ? The cof probaly lasts minute max for the 10 shots.am well pleased ??? Was that on a huns head or the new pc version with .5 moa bull ? Hi bri it's the regular mcqueens target that I am aware of.fred C. from bradders winning Methuen team witnessed the score amongst others.am still stunned myself.i zeroed off rear bag as usual.shot first cof to find I shot 2 inches low and when I noticed the bullet holes started aiming higher.score wasn't great.second go I a aimed 2 inches high of vbull.that score wasn't great either so I rezeroed without a rear sandbag that went great.this time I could see a ragged hole forming and kept banging them in there.when results were radioed back I was over the moon.no more rear bags.ive found this every time I've shot mcqueens be it 300yds or 200yds.learnt for sure the poi changes considerably. This 6v's 4a's at 300yds has trumped my 6v's 4a's at 200yds.this is prone without a rear bag.i do use my hand though.chuffed to bits. Close up of huns head. Interests:all types of shooting long range ,practical and pistol shooting. How much for the sausage? Give it rest Neil everyone is bored now!! !